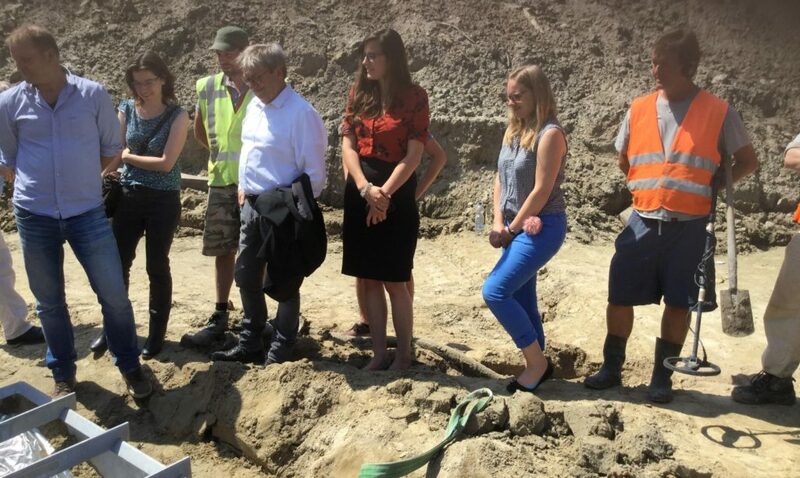 An excavation uncovered Merovingian graves within viewing distance of the Rural Riches project office. 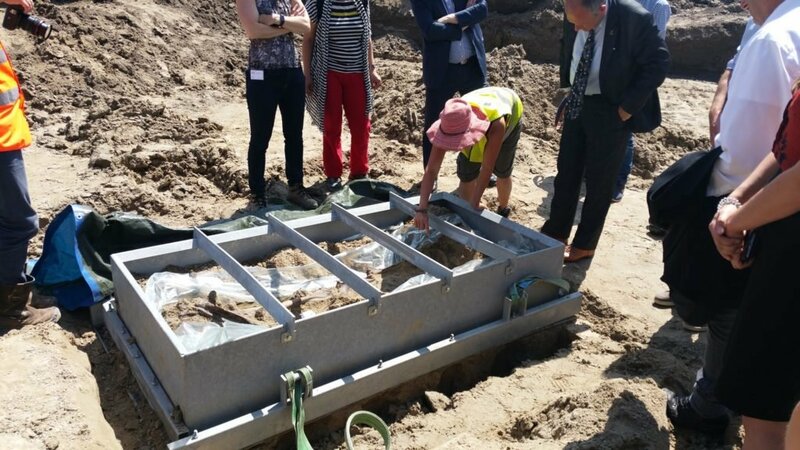 This excavation is conducted by the archaeology faculty in Leiden and the archaeological company ARCHOL. The grave in the photograph below contained a very well preserved skeleton and several metal objects. It was lifted en bloc by conservation company Restaura and will be examined further in the laboratory. Part of the Rural Riches subproject on early medieval production involves the study of pottery. 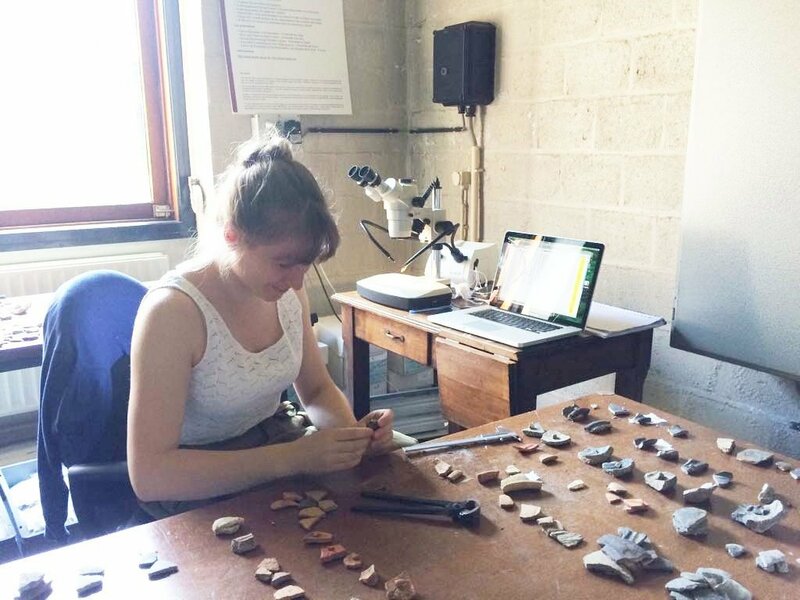 Our post-doc researcher Line van Wersch and research master student Sophie Vullings are currently in the research laboratory at the University of Liège to do macroscopic analyses on Merovingian pottery from production sites in the town of Huy. 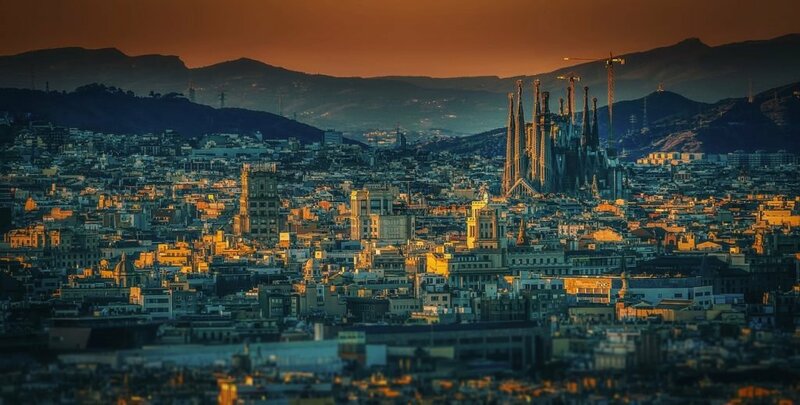 Four members of the Rural Riches project will be presenting at the EAA in Barcelona in September 2018. Frans Theuws will present a paper about the reinterpretation of the distribution of sceatta coins titled ‘Rethinking sceatta’s and the economy of northwestern Europe in the 8th century’ in the session ‘ Silver, status and society ‐ transition from late Roman to Early Medieval Europe’. Line van Wersch will be talking about ‘Early medieval tesserae in northwestern Europe. Long distance trade or local supply?’ in the session ‘Pirenne vs. Glass: The contribution of archaeological and archaeometric glass analysis to the study of early medieval long‐distance trade networks’. Martine van Haperen will talk about economic implications of grave reopenings in a presentation titled ‘Deposition, transformation, retrieval: the value of objects from reopened graves’ in the session ‘Revamping value(s): on the destruction of value during the Bronze and Iron Age in Europe and the Mediterranean’. This website is hosted by the Rural Riches Project at Leiden University (the Netherlands). It is a platform on the archaeology of the Merovingian Period. Information will be provided on ongoing research projects, new finds and excavations and datasets will be presented. You are invited to write contributions about your activities on this blog. If you want to get in touch, please use the contact form.